Khari Baoli is the largest wholesale spice market which is located near Fatehpuri Masjid in Old Delhi. 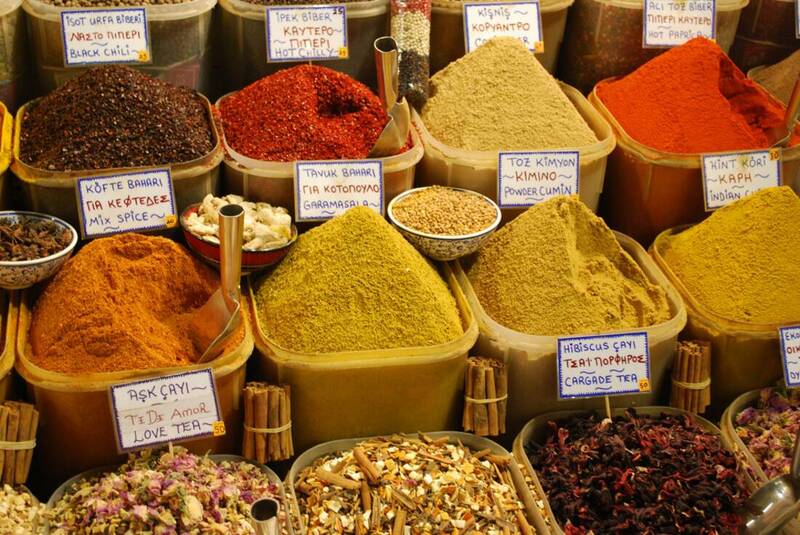 You can find all sorts of Indian spices, nuts, herbs, and other food products here. It is the most popular and ancient spice market in Delhi, from where the huge sacks of spices are transported to other nearby areas. Don’t forget to cover your face with a handkerchief because of the strong aroma of these spices can affect you. Get immersed into the most wonderful Sufi music at Hazrat Nizamuddin Dargah which draws major attention of Sufi devotees. It is the most devotional fusion that can soothe your mind and soul and brings peace to you. You can listen to Qawwalis in the evening, but mostly on Thursdays at Dargah. Nizamuddin Dargah is a shrine of one of the world’s famous Sufi saints Hazrat Nizamuddin Auliya which is located in the heart of Delhi. Walk across the lively narrow lanes of Markets and experience the local lifestyle of Delhi. Many rickshaw ride tours and walking tours are designed by the travel operators that make you witness the local living of people in Delhi. The most popular and ancient market street of Delhi is Chandni Chowk where you can do shopping and savor the great taste of Delhi street food. The most popular religious site located near Connaught place, Gurudwara Bangla Sahib is the best place to find peace in Delhi. Gurudwara has a huge kitchen wherein food for more than thousands of people is cooked. You can do volunteering at Gurudwara and help them by serving a meal to the visitors. It is the most wonderful experience that you can enjoy in Delhi. Discover the local areas of Delhi while enjoying cycling in the early morning and get a chance to witness the living of locals. Special cycle tours are designed by the travel operators which aim at making you relish the mesmerizing beautiful morning environment of Delhi. 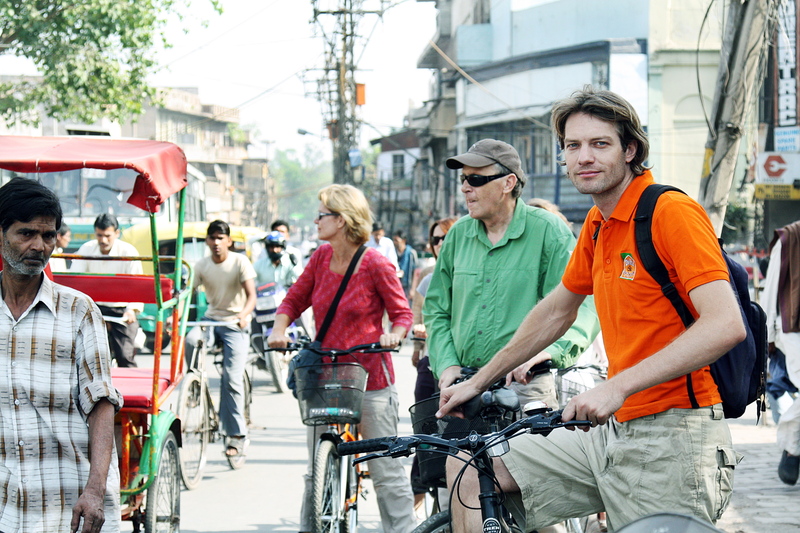 Enjoy the Delhi cycle Tour and ends up your journey with the great taste of India Tea. Include all these unique experiences in your Delhi Sightseeing tour along with the exploration of major attractions of Delhi which includes Red Fort, Jama Masjid, Qutub Minar, Lotus Temple, and India Gate. All these monuments are the most popular attractions of Delhi which you can also explore in your Golden Triangle India Tour Package. With this tour, you can also explore the marvels of Agra and Jaipur which are the most beautiful cities of India. The triangle tour is famous for Taj Mahal which is the jewel of Indian architectural style. It is the finest example of Mughal era architectural style which can be explored in India’s triangle tour. So, enjoy the best time in India and discover the most beautiful triangle cities of India.